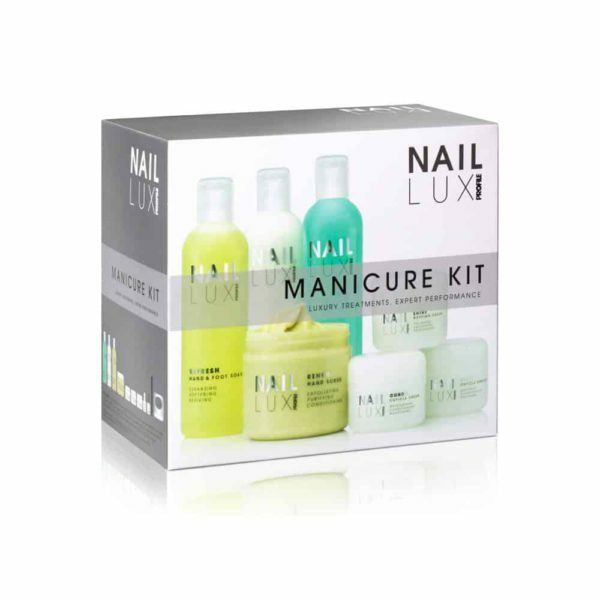 Performance led, expert selected, luxury manicure introductory kit. Contains everything you need to start treatment. Ideal for students and training Sanitise Hand Gel 150ml, Refresh Hand & Foot Soak 250ml, Renew Hand Scrub 300ml, Hydrate Hand & Foot Lotion 250ml, Cuticle Remover 50ml, Cuticle Cream 50ml, Nailux Cuticle Oil 15ml, Naillux Do It All 15ml, Naillux Conceal & Correct 15ml, Three Way Buffer, Black Diamond file (10), Manicure Bowl.